Victoria Kwakwa, World Bank country director, stated in a conference in the Mekong Delta city of Can Tho on June 13 that Vietnam must make changes in its rice production and export, focusing more on increasing the value of rice. At the conference organized by the Ministry of Agriculture and Rural Development (MARD), the WB claimed that though Vietnam exports a rather high volume of rice, exports have slumped as the quality is poor and it has no brand name. Besides, there is no coordinating body between production and export. Farmers specialized in rice cultivation are living in tough conditions in very underdeveloped areas. Although the Mekong Delta is known as the country’s rice bowl, many children here suffer from malnutrition. Dr. Dao The Anh, director of the Center for Agricultural Research and Development, said that malnutrition in the Delta was much lower than in other parts of the country and was linked to dietary deficiencies or maternal health. According to the WB report, the ongoing challenge facing rice production in the Mekong Delta is the production and export income not reaching the rice farmers and their families. Steven Jaffee, World Bank Rural Coordinator responsible for the WB study of the country’s rice production said there were too many growers here and most of them were on a very small scale. Even though rice farming can generate a 30 percent profit margin, most farmers still survive on less than US$1 a day, he added. He noted that big farms (more than two hectares) also generate good income, while small farmers struggle to make ends meet. Bui Ba Bong, MARD deputy minister, admitted that if rice production and export were coordinated and production, consumption and exports were equally controlled, rice exporters and farmers would both benefit. Dr. Pham Van Du, deputy head of the Cultivation Department, said the country has developed a model of effective large-scale paddy farms, with the aim to increase the value of rice. Farmers participating in the project have been provided with high-quality rice seeds, good production techniques and other good-quality agricultural equipment and services, adding that exporters will continue to receive a steady supply of rice. The model of large-scale paddy fields has helped to reduce production costs while increasing the quality and value of rice as well as profit margins for farmers. 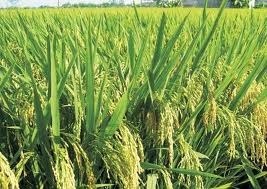 According to MARD, the total area of large-scale rice farms will be expanded to 20,000-40,000 hectares by 2012 and 50,000-80,000 hectares by 2013. Addressing the conference, Mr. Bong said that paddy is Vietnam’s most important crop as paddy farms accounts for 44 percent of the country’s agricultural land. 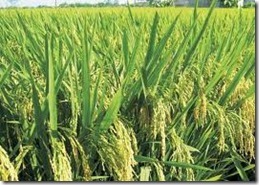 80 percent of farmers in the country are rice growers and all Vietnamese people eat rice daily. Thus the Government lays great emphasis on the importance of developing rural rice agriculture. Deputy Minister Bong said the rice sector has made great achievements during the past 20 years. Vietnam exported one million tons of rice for the first time in 1989. Though rice cultivation area has decreased by 380,000 hectares in 2010 compared to 2000, the output soared sharply to 5.3 tons per hectare in 2010 from 3.18 tons in 2000. Vietnam increased its yield per hectare by 28 percent, compared to Thailand’s four percent between 1999 and 2010, according to Dr Nguyen Cong Thanh of the Cuu Long Rice Research Institute. Mr. Jaffee said Vietnam has addressed food security issues very well in the past and has become one of the world’s biggest rice exporters.